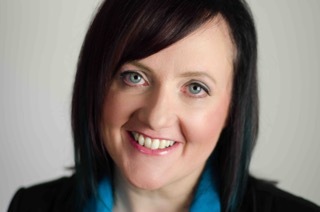 Artistic director of Perchance Theatre since 2013, Danielle Irvine is an award-winning Newfoundland-based theatre director who has worked across Canada for over 20 years. Highlights of her career include six years teaching at the National Theatre School of Canada in Montreal; assistant directing at the Stratford Festival of Canada for two seasons (including being the first director to study in their Birmingham Conservatory); and winning the Canada Council for the Arts prestigious John Hirsch Prize for Directing and the Elinore and Lou Siminovitch Protégée Prize under Jillian Keiley. Danielle has directed theatrical productions of all sizes and types in all manner of venues. She has co-founded two other successful theatre companies and is also the current founding artistic director of Sweetline Theatre. She has served on the boards of many arts organizations including Artistic Fraud of Newfoundland and the Resource Centre for the Arts. Danielle is also frequently called upon to adjudicate local theatre festivals, has served on numerous arts juries, and has served on arts advisory committees for the City of St. John’s. She has also been a key note speaker and workshop leader at various conferences over the years and is a sought-after teacher bringing Shakespeare’s words alive through classes, workshops and fun events for all ages. Danielle has spent many years working in television and movie casting including CBC's Republic of Doyle and more recently for the Netflix series, Frontier. Danielle was a selected participant in the World Stage Festival 2000’s Master Class for Directors, where she was honoured to study with such theatre greats as Peter Brook, Yoshi Oida and Polly Teale. Recently, Danielle was selected as the "2015 MVP for the Local Theatre Scene" by the readers of the Overcast, and was a 2016 nominee for the YWCA St. John's Women of Distinction Award for Arts and Culture. Listed in Canadian Who’s Who for his contribution to Canadian Theatre as director, master teacher, translator and administrator. Stratford Festival: Comedia coach The Hypochondriac,Don Juan; Choral direction Comedy of Errors; Comedia Master class, Taming of the Shrew; Comedia/Mask Master classes Birmingham Conservatory throughout directorship of Michael Mawson /David Latham. Former Artistic Director, National Theatre School of Canada (initiated Writing/Directing programs), Former Artistic Director, Piggery Theatre, Former Chair RyersonTheatre School. Selected Directing: Place Des Arts: Nathalie Choquette’s La Diva (Charles Dutoit/MSO) NTS: Servant of Two Masters, The Miser, Flea in Her Ear; Piggery: Noises Off, Lend Me a Tenor, Crimes of the Heart; Theatre Francais de Toronto: Les Fridolinades; Theatre du Vieux Terrebonne/Quebec Tour: Tenor Recherché with Benoit Briere. Translations English/French: Lend Me a Tenor, Old Love, East of Berlin, The Little Years.